Heavy duty tip up electric start up mixer for medium to large building projects. Mixer is on wheels with draw bar and eye for moving around a site. Mixing drum can be loaded / unloaded from either side. 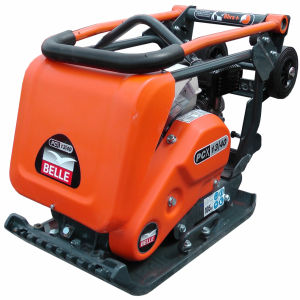 Belle's 100XT Yanmar site mixer is an electric start up mixer that's suitable for medium to large-sized building projects. It boasts a heavy duty and durable chassis, which allows it to withstand the almost any type of site conditions. 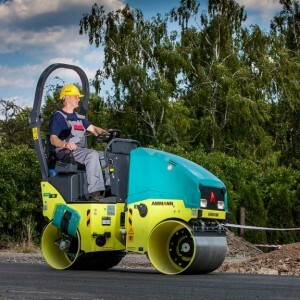 The mixer is mounted on heavy duty and wide profile wheels, making it easy to move around any given site. Additionally, the mixing drum can be loaded or unloaded from either side for added convenience. 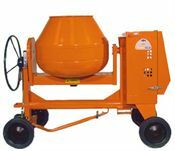 The mixer also has a foot operated tip-lock in addition to a big tip wheel, thereby providing extra safety and control for larger mixes. This air driven concrete poker shaft is used for settling concrete by releasing trapped air and water.